Where to begin? 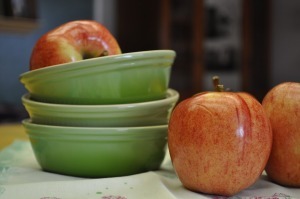 I bought these cute individual pie plates at the le Creuset outlet in Camarillo yesterday…and, I bought Gala apples. I perused a lot of recipes, but kept thinking about how wonderful the Folded-over Pear Torte was that I made last weekend. 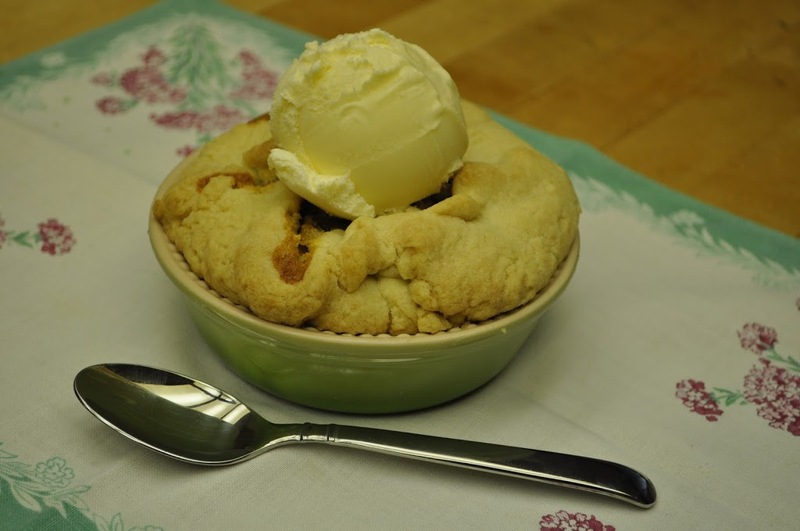 Since Dutch Apple Pie is my favorite, I figured out a way to have the best of both. Not only are they pretty, they taste great, too! I used Dorie Greenspan’s recipe for the Folded-over Pear Tart, but I doubled the Crust recipe and used 4 medium Apples in lieu of the 3 Pears. 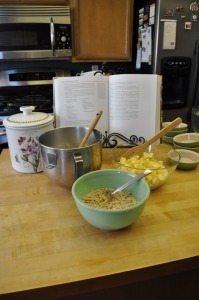 I didn’t add any dried fruit, and added the walnuts to the streusel topping. 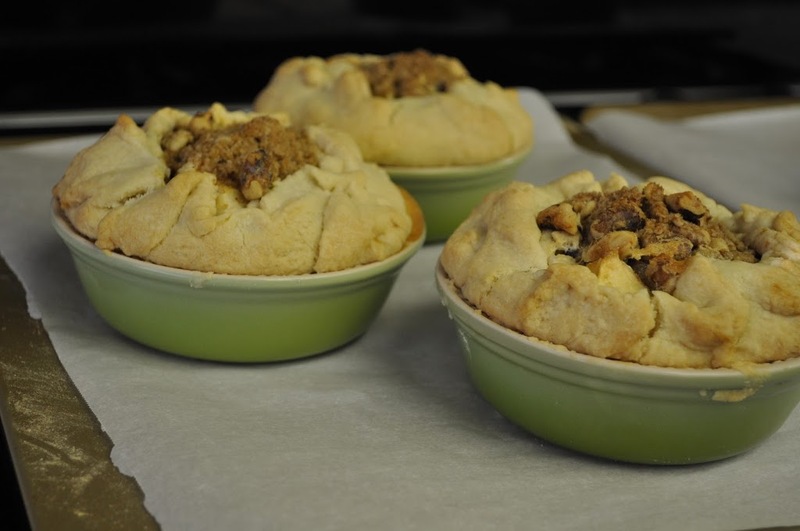 To assemble the pies, roll out the dough, cut each piece into 3 pieces to fit the pie plates. 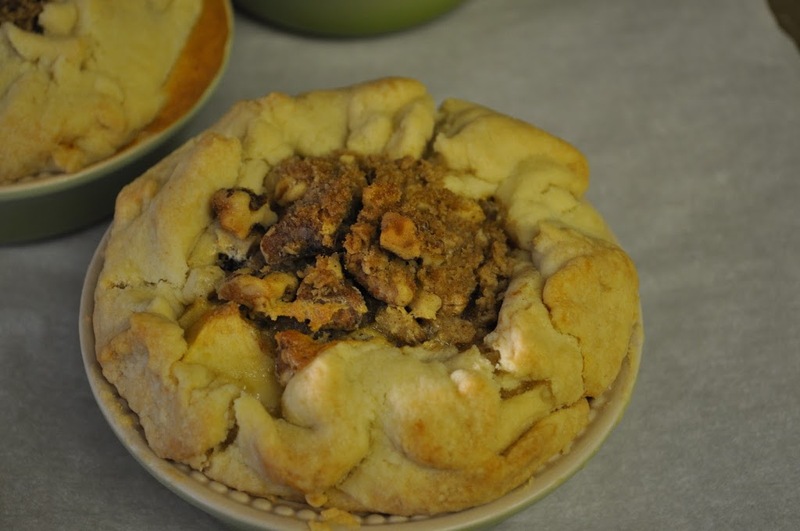 It can be very soft, so handle it delicately ~ it doesn’t have to be perfect , but you need enough to fold back over the filling (I love this part because I’ve never been able to make beautiful pie crusts!). Distrubute the apples evenly among the pies, then pour filling until they are 2/3 full. Spoon streusel in the middle of the pie, then fold crust towards the middle. 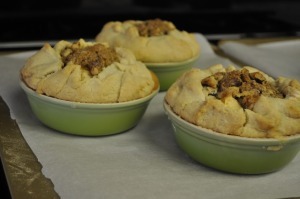 Place 3 pie plates on each of 2 parchment paper lined baking sheets. 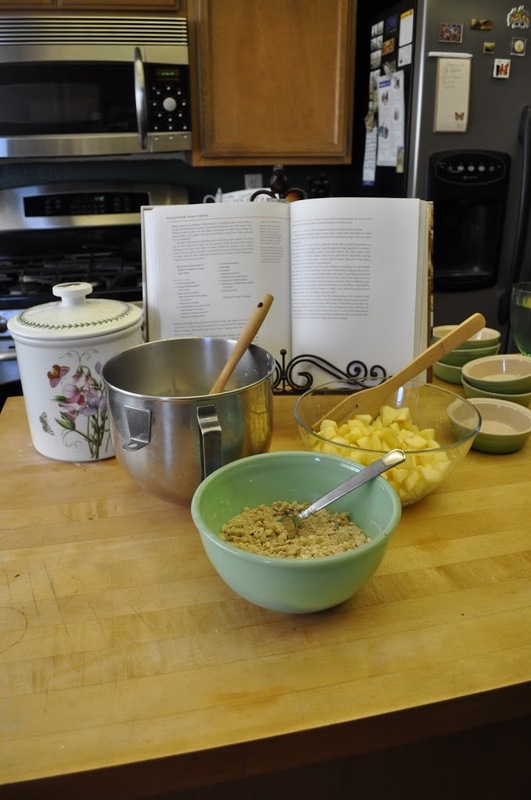 Bake according to the original directions, but reduce baking time to 45 – 50 minutes. I love baking mini desserts! These look lovely! I’m all for a nut topping – it adds something special to it. I wss really happy with how these turned out – I’m trying to get a little more creative with my photography! Your photos are always great.